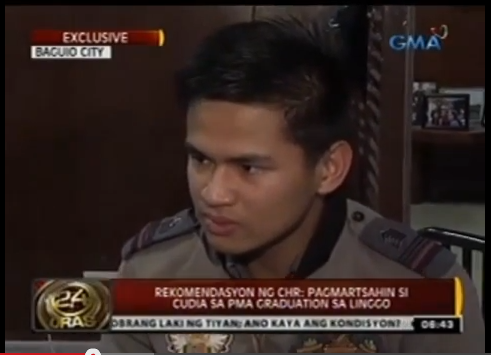 The Commission on Human Rights (CHR) submitted a recommendation letter to President Aquino’s office on Friday to let Aldrin Jeff Cudia to graduate from Philippine Military Academy (PMA). It is now up to the President to decide on Cudia's fate. CHR conducted a a fact-finding investigation, including interviews with about 20 PMA cadets who were involved in the voting on Cudia's dismissal case. 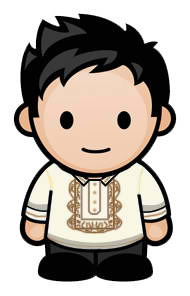 The Commission on Human Rights recommendations are for the PMA Honor Committee to uphold the results of the original 8-1 voting (not unanimous), for the PMA to declare Cudia “not guilty” of violation of the Honor Code, for the reconstitution of Cudia's benefits as a student of the PMA and to allow him to graduate on Sunday and for the PMA to fully cooperate with CHR's further investigation of Cudia's case.